The Macquarie Lighthouse is Australia's first and longest operating navigational light. There has been a navigational aid on this site since 1791 and a lighthouse since 1818. It is also known as South Head Upper Light and it is located on Dunbar Head, Vaucluse, about 2 kilometres south of South Head near the entrance to Sydney Harbour. There has been a navigational aid in this vicinity since 1791 and a lighthouse near the present site since 1818. The current lighthouse was completed in 1883. The lighthouse is still fully operational and is under the control of the Australian Maritime Safety Authority. The grounds are managed by the Sydney Harbour Federation Trust. This image belongs to the travel and nature stock photo library. This stock photo of The Macquarie Lighthouse is available for licensing for commercial and editorial uses including websites, blogs, books, magazines, brochures and advertising. Restrictions may apply for images which contain third party copyrighted material or sensitive subjects. Photos of artwork are for editorial use only. 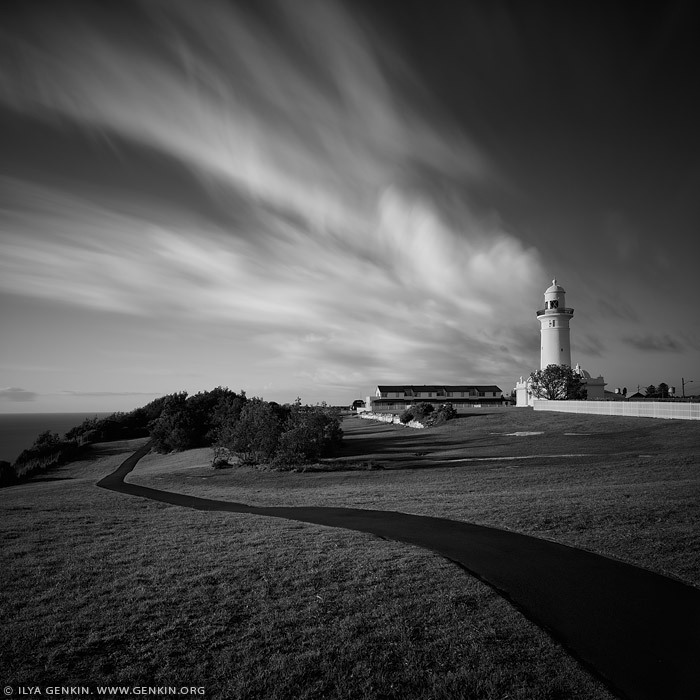 This image id SYDNEY-IN-SQUARE-0005 of The Macquarie Lighthouse, is copyrighted © by Ilya Genkin. This is not a public domain image.